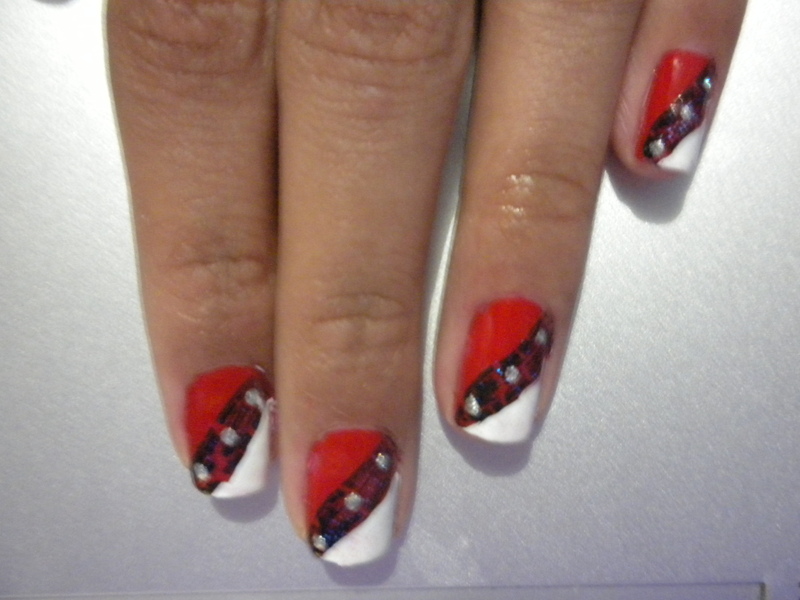 Trini nail art #2 ! I ventured to Wonderful World to pick up much needed polish. I ended up buying Black China Glaze, L.A Girl Dry Booster, L.A Girl Whitener & Smoother as well as a China Glaze nail polish remover (details on these products will be in a future post) The black polish dried really quickly, so fast that it dried on the stripe brush before the design was even completed, frustrated with it I called it a night. Today it got a second chance, this time it was going to be the base color so when it dried it wouldn’t be a problem. I applied a thin coat and it cracked up before my eyes. Yeah, I spent $30 on the wrong nail polish 😐 What I bought was the crackle polish instead of regular formula 😐 Why nail polish companies put black text on a bottle that contains black polish is beyond me. 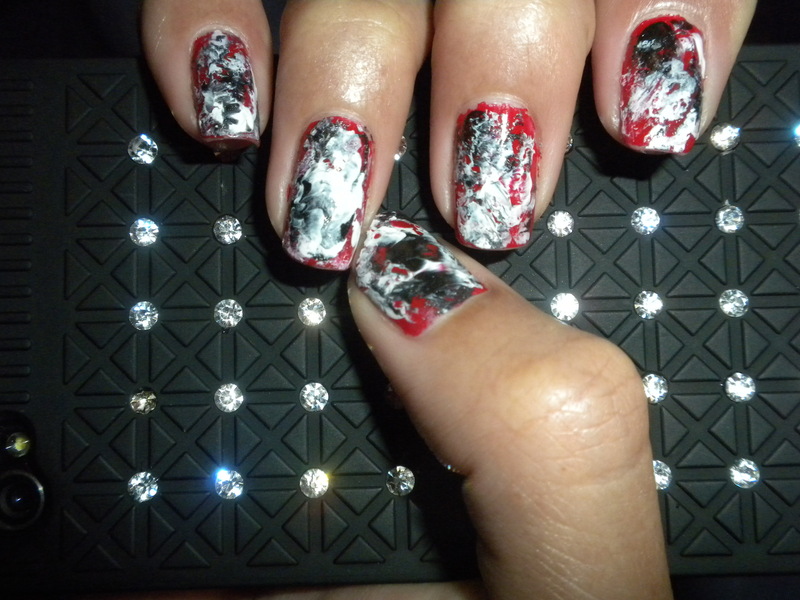 *sigh* So anywho my next few designs utilize this black crackle polish. Hope you like. 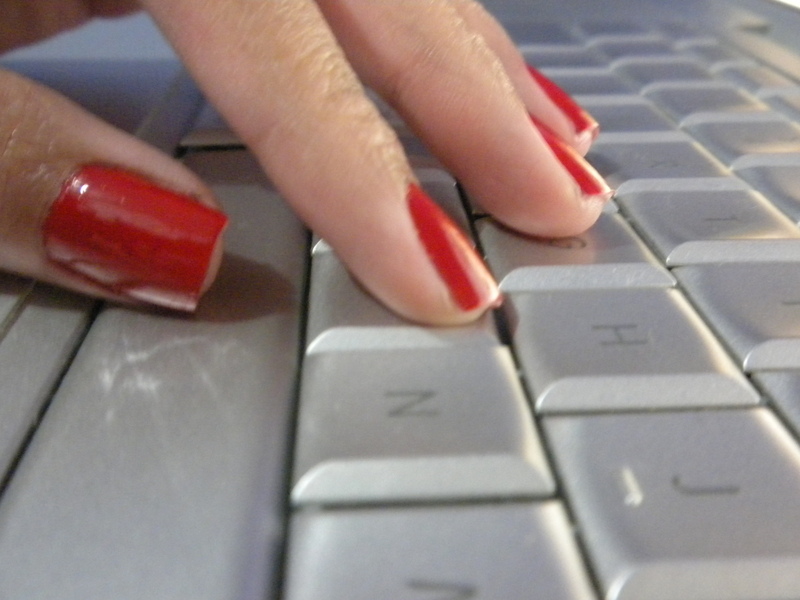 Apply a base coat of your choice, and then paint your nails red! Allow it to dry and then break out your crackle polish and make one quick stroke from the bottom edge of your nail to the top in a diagonal line. Using a dotting tool (or tooth pick or bobby pin) Dip it into silver polish and make three medium sized dots in the middle of the black stripe. Polish to old to mention upgrade needed. 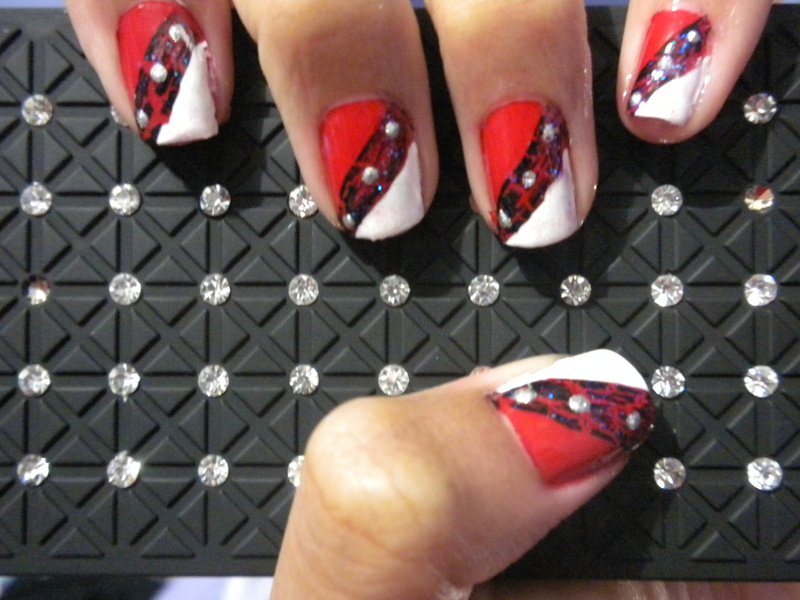 Get your white polish and swipe directly under the black cracked line. Its much easier than it sounds, the black acts as a guide. 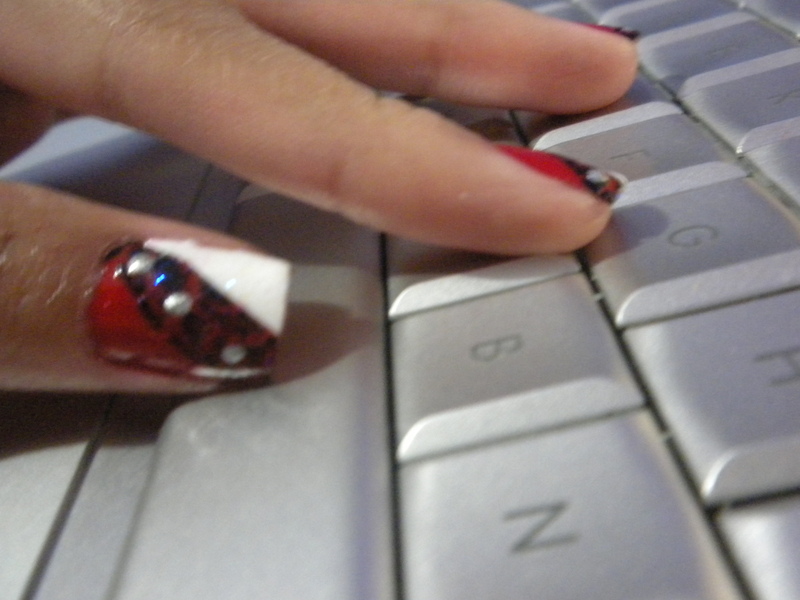 Your nails should now look like the image below. Now all you have to do is the optional glitter polish along the white and black area followed by a fast drying top coat then Wa-la! Done. This 1st post is pretty easy 🙂 In fact, it’s so easy you can do it using your non-dominant hand with a breeze 😀 I am a righty and did the entire thing using my left hand. 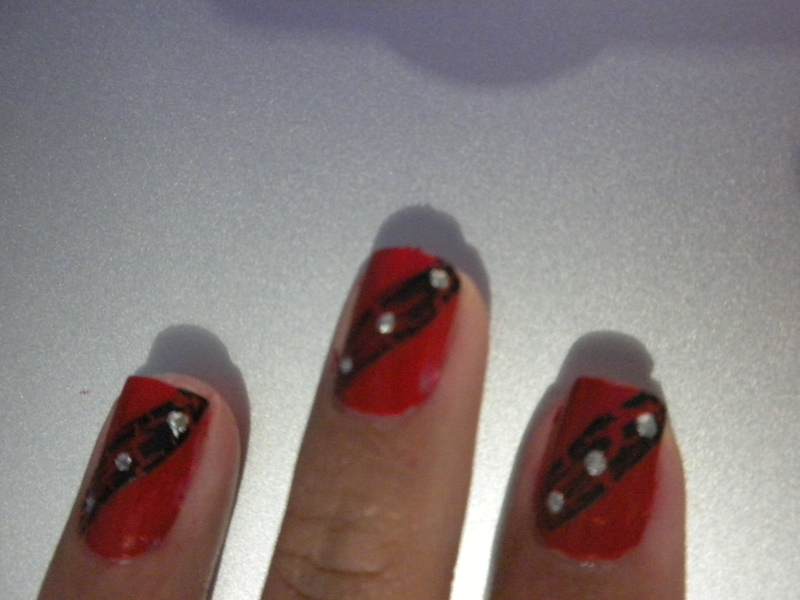 First, paint your nails red. Don’t allow them to dry! 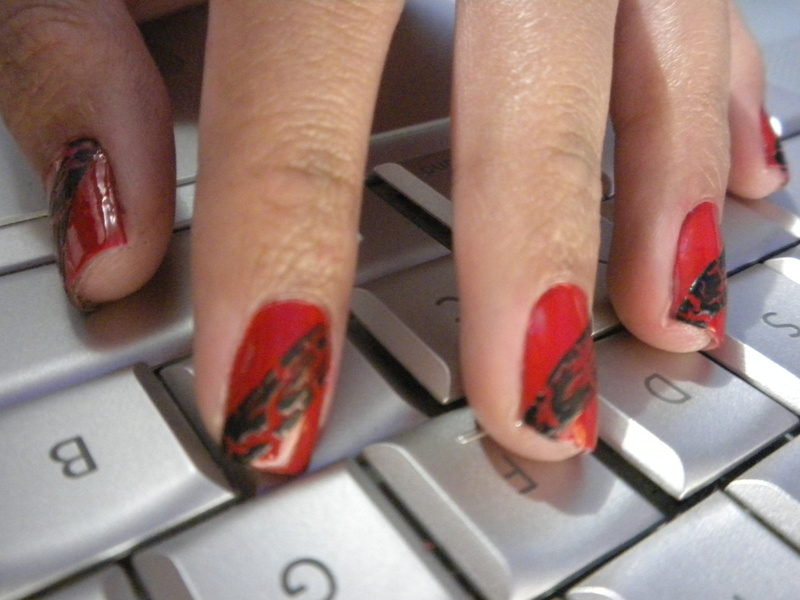 Get you plastic and smudge, dab and smear your nails to your hearts content. It might take a bit until you can find a smudging method you like, but the point is to be messy with it. In the end, you get this! Perfect for next jouvert dont you think?